People are living longer than ever, and while regular brushing, flossing, and regular check-ups allow many of us to maintain our natural smiles for a lifetime, sometimes our teeth just can't keep up. If you've lost a tooth (or a few teeth) due to injury or disease, dental implants can rejuvenate both your smile and your oral health. 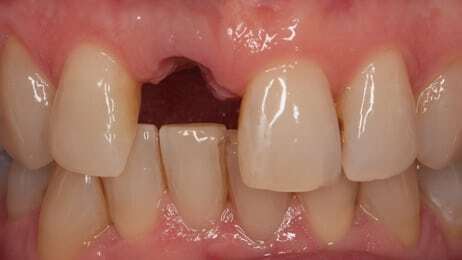 As a permanent solution to missing teeth, dental implants are one of the most innovative solutions in dentistry today. Most individuals are good candidates for dental implants regardless of their age. If you are in good health and wish to permanently replace a missing a tooth, or teeth, there is a very good chance dental implants are the ideal solution for you. If you’ve experienced bone loss in the area where your teeth are missing you may require some bone grafting to improve the health and density of the bone necessary to support your implants. If you are a smoker it is likely that the implant failure risk would be much higher for you , in fact some experienced implant dentists would refuse to place implants in smokers. Dental implants are small titanium posts that replace the roots of missing teeth. They are inserted into your jawbone through a minor surgical procedure. After the implant has been placed in your jawbone, a completely lifelike porcelain tooth crown is attached. In some cases, the implant needs to fuse with the bone for several months before it is permanently crowned; in other cases, you can have new (but temporary) teeth the same day your implants are placed. When is the right time for an implant? You may be not know, that your jawbone is a lot like a muscle, in that it must be stimulated regularly in order to maintain its volume. Therefore, when a tooth is removed or falls out naturally, the jawbone begins to deteriorate almost immediately. In fact, studies show that within a year of tooth loss, there is a 20 to 30% decrease in bone width. Fortunately, dental implants can take the place of natural teeth to provide the stimulus needed by the jaw. If done early, this greatly reduces the need for bone grafting down the road. You can replace a single tooth, multiple teeth or all your teeth with implants. You don't even need one implant for every missing tooth. As few as two Implants can support a removable lower denture, while as few as four implants can provide a full, permanent set of top or bottom teeth. Dental implants offer over a 95% 10-year success rate. With the right aftercare, like maintaining your oral hygiene and regular dental appointments, the implant post can last for a lifetime. The dental crown will suffer from daily wear and tear. On average, it may need to be replaced about every 15 years. Dental implants are often the ideal tooth-replacement option, because unlike traditional tooth-replacement solutions; such as bridges or dentures. Dental implants replace the missing tooth's root as well as its crown. They do not require support from adjacent teeth, and keep the jawbone strong because it has a purpose – to support the tooth's root. Longevity; With proper oral hygiene, dental implants last most people for a lifetime. This is one of the most common concerns for people thinking about having an implant. When carried out by an experienced implant dentist, most dental implants are very straightforward to place, taking only about ten to fifteen minutes to complete the surgical part of the treatment. However, more complex cases may take longer. The majority of implants are placed under a normal dental local anaesthetic. 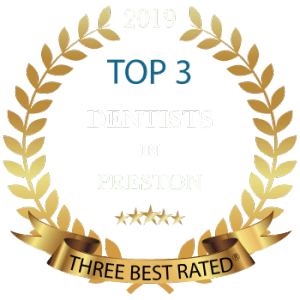 Though the local anaesthetic injections can sting a little, and most of us have experienced dental injections in our mouth at some time, once you are numb, you will not feel anything throughout your treatment. You will feel some pressing and pushing during the procedure as well as some vibration during the drilling stage, but this will not be painful in any way. Dentures are most patients’ nightmare due to the difficulty in wearing and the effect on all aspects of life. 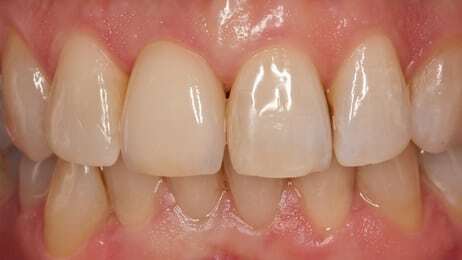 Small dentures can be replaced with just a few implants, or complete (full) dentures can either be held in position with implants or replaced with implants altogether – surely the most amazing dental transformation available. Many options are available, and they are personalised to your specific requirements. If you need a replacement tooth while the implants are healing, temporary removable teeth or a temporary bridge can be made. If all of your teeth are missing, we can usually modify your current denture or make you a new temporary denture. If you prefer non-removable teeth during the healing period, temporary teeth may be made and inserted the same day. Depending on your particular situation, some implants can be placed and restored on the same day. This means a temporary or permanent replacement tooth can be placed on, or shortly after the implant is placed. At Lane Ends Dental Practice, restoring your smile is a process that’s personal and very precise—which is why the cost of dental implants varies from case to case. The best way to get an accurate price is to come in for an in-depth consultation. Quoting costs without an in-person evaluation of all these factors could be misleading—and a disservice to patients. Are You A Good Candidate For Dental Implants ? You may still be a good candidate even if you have one or more of these conditions. We’ll assess your unique oral health needs to determine whether or not implants are right for you. If you’d like to know more about how Dental Implants can give you the smile you’ve always wanted, please contact us at Lane Ends Dental Practice in Lancashire on 01772 – 726932 to arrange for a consultation.